Writer and producer Jeffrey Gurian, who worked on a documentary executive produced by Chris Rock, gave Niteside the inside scoop on what the comedian is really like in person while at the Juliet Supper Club Sunday night. “Chris is the most humble guy I've ever met,” said Gurian, who's rubbed elbows with big-shot comedians from Lewis Black to Billy Crystal. “When he did his interview [with me] he talked about how funny everyone else was. He gave everyone else credit. It's very rare to find someone of that level in the business who's so humble and so down to earth, he's not affected by all of the fame and adulation that he gets." The documentary, “Eat Drink Laugh: The World Famous Comic Strip Live” will be released this upcoming year and gives the history of the iconic club in Manhattan where Jerry Seinfeld, Ray Romano, Adam Sandler and others exploded to fame. Gurian, a co-producer for "Eat Drink Laugh," had started writing a book about the club when he approached Chris Rock with Comic Strip Live owner Richard Tienken about doing a movie version. He explained the “Everybody Hates Chris” creator impressed Eddie Murphy in 1986. According to Gurian, he went on stage “in front of his idol and he killed,” and he's been making us laugh ever since. 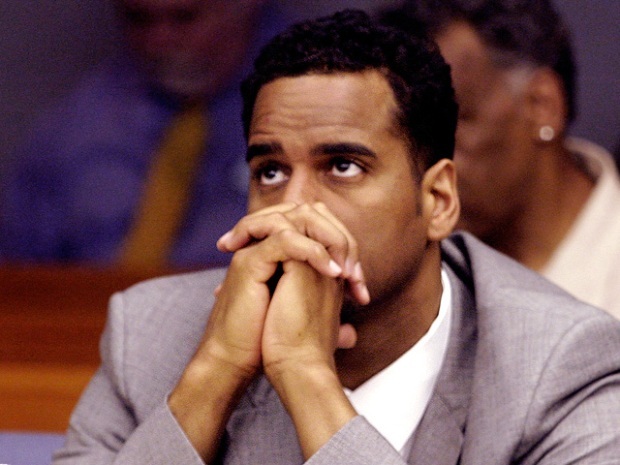 Scandal-ridden NBA star Jayson Williams was sentenced to five years in prison for the 2002 shooting death of his limo driver, but his estranged wife Tanya Young WIlliams has big plans and has already penned a self-help book drawn from her broken marriage. Family (including her and Jayson's two little daughters) and friends gathered at the Juliet Supper Club in Chelsea for the launch of "I'm Tired! Carry Your Own S#!t (Oops, I Mean Bags)" where she talked about her relationship with her ex and how she's moving on.